Suspension sponsored by Arnott Inc. 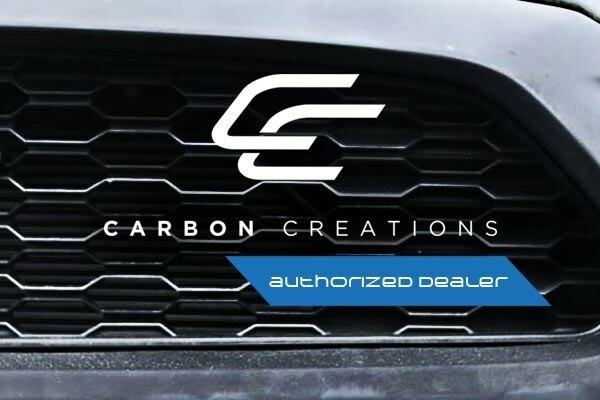 If you’re a fan of performance mods and track days, our carbon fiber Rear Diffuser by Carbon Creations is definitely something worth your attention. Being manufactured with the highest quality standards and aerodynamics in mind, it will accelerate the velocity of the airflow underneath your IS, plus it looks simply awesome. 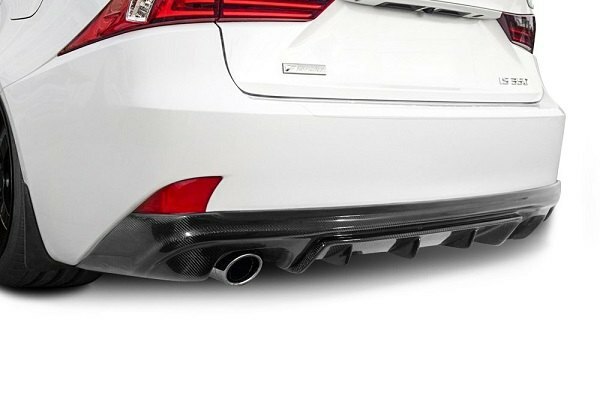 Moreover, this track proven 1 piece Rear Diffuser is made from 100% Grade-A carbon fiber and finished with a premium clear coat for the best UV protection, retaining durability and great looks for many years to come. Professional installation is highly recommended. Hardware and authenticity badge are included in the kit. What are your thoughts on this Diffuser? Need a quote? Feel free to contact me anytime, we are available 24/7. I'm interested in the CC diffuser, I was wondering if you know how well it fits with the Ark Grip exhaust. It looks like maybe it is built for a quad exhaust, and I'm not interested in switching to a quad exhaust. 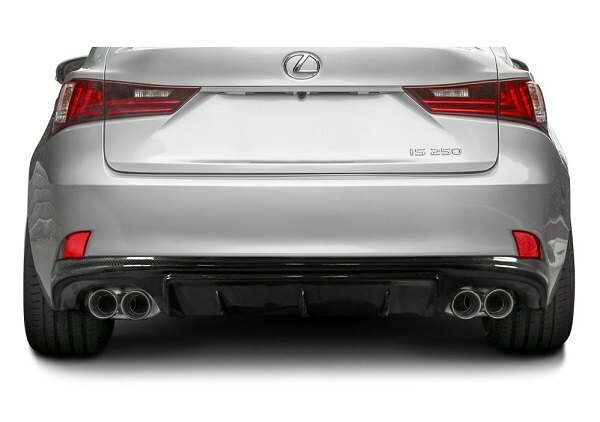 Rear Diffuser by Carbon Creations is engineered to work great both with exhausts equipped with single and dual exhaust tips. Of course, in your case, the cutout will be slightly bigger, as it is designed for the different exhaust setup. But it does not mean that it will not fit right. So, no worries here, that won't affect the efficiency of your system. Last edited by carid; 08-16-2018 at 09:40 AM.